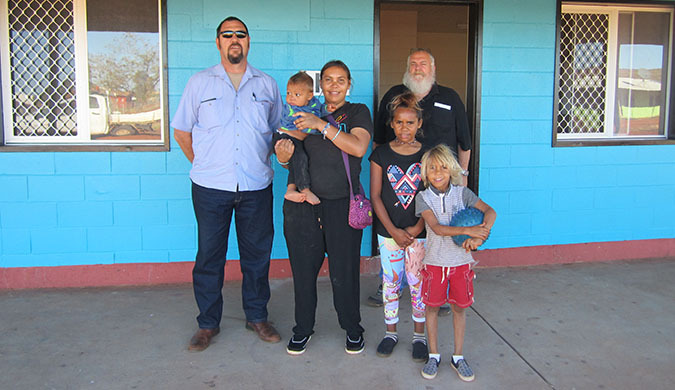 A Kintore family whose home was largely destroyed by fire earlier this year, have recently resumed living in the property following extensive repairs. Ms Barku and her family lived in temporary accommodation during the three week task to replace the roof, all plumbing and electrical, repaint, refloor and upgrade the kitchen. The Barku family were very excited to return to their new-look home.